When we move your valuables, our moving and storage New York experts care for them as we would for our own. All boxes will be marked and labeled so as to avoid any potential confusion or damage. We have a long tradition of providing excellent New York customer service with the minimal amount of stress. No matter the distance or size of the relocation, New York movers make it a priority to conduct the move as soon as possible. It is our goal to save you as much time and money as we can. Put your trust and schedule in our hands and we guarantee you won't regret it! We are committed to ensuring that our customers receive the best moving support. Our experienced New York movers are knowledgeable and can answer all questions you have about the move. It is in our interest that you are constantly informed about all moving operations to ensure a stress-free relocation. Pre-move planning with our team of New York relocation specialists. Your own personal New York relocation expert from start to finish. “All of your men worked tirelessly to get the job done…My family and I have utilized your company in the past and have always been satisfied with your services. 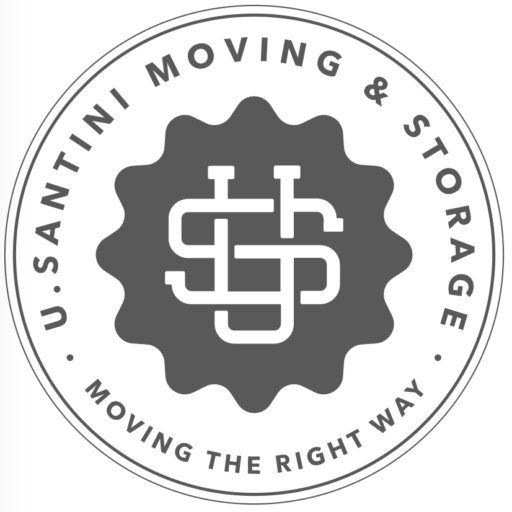 I would highly recommend U.Santini to anyone." “A wonderful experience. Terrific job, cautious crew, respectful + professional. I would recommend them & use them again. They stuck to the estimate. They made my moving day easy (if you can ever say that about moving) The crew did things for us that went beyond their job descriptions. They were enormously helpful." “U.Santini was fantastic! The entire crew (Mario, Justin, Seth and Oscar) were professional, fast and very accommodating. I would use them for all my moves. Thank you." “Dan, Marc and his crew were extremely polite, helpful and professional. They were the best I have ever had the experience of being helped by. Marc was quiet, efficient and constantly asked if there was something he could do. Again, the best. Thank you." No matter if you are looking to relocate around the corner or coast-to-coast, our moving and storage New York experts have you covered. Our office/commercial New York movers use logistics and advanced planning to secure minimal business disruption and maximum efficiency. If you have space constraints, we offer secure New York storage services. Our storage facilities are safe, economic, and adjusted to your needs. We provide FREE quilt-pad wrapping of all furniture/office supplies as well as packing & unpacking services.